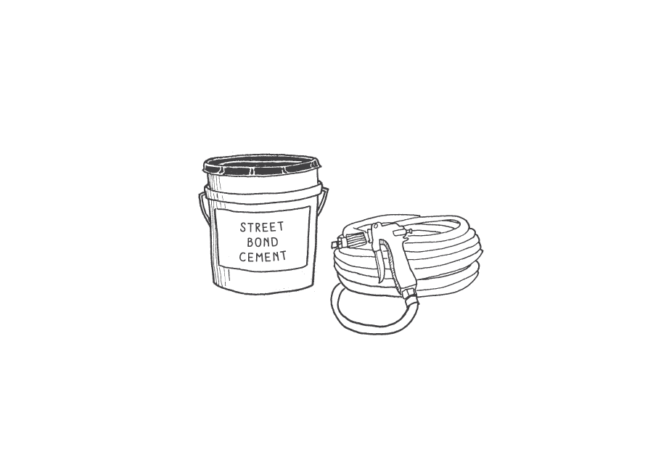 Description Pavement coating appropriate for interim design uses. Typical Dimensions Sold in 5 gallon bucket that included 3 key components that are mixed to create the coating: 1 unit of coloring element (pint), 1 unit of SB 150 (3 1/2 gallons), and 1 unit of actifier (quart). Pedestrian Crossings Can be applied to enhance crosswalk markings. A traditional continental crosswalk should have stripes a min. of 12 in. wide, with 12 - 36 in. gaps between stripes. Curb Extensions / Plazas Colored surfaces will enliven the public space and clearly differentiate pedestrian space from vehicle space. Roundabouts / Activated Alleys Colorful mural surface treatments add beauty and may help slow vehicular traffic. 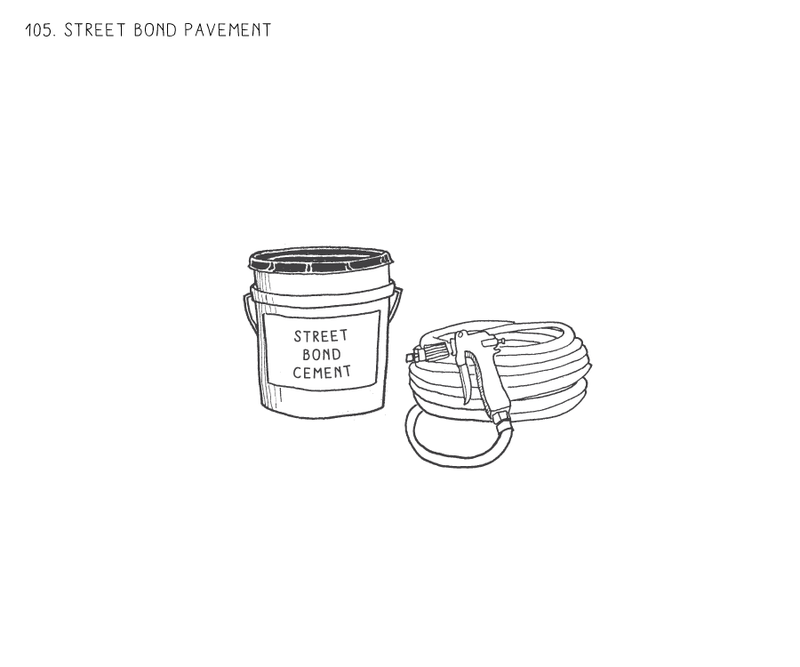 Developed for use over imprinted or flat asphalt, StreetBond SB150 Pavement Coating bonds permanently to asphalt surfaces to provide both an enduring, aesthetic finish and a low maintenance surface that helps protect and extend the life of the pavement. 5 gallon container included 3 components which must be mixed together and then applied within 45 minutes of mixing. Purchase from traffic control or construction equipment suppliers.